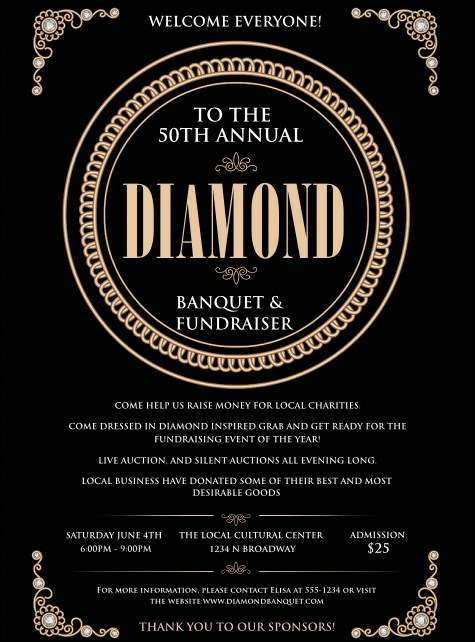 Set the tone for your formal affair when you advertise with the classy Diamonds Black Flyer. This elegant design features a rich black background, gold and diamonds framing the corners, and a chained gold ring in the middle. Enter 21 lines of text into the template and we'll print and ship them your way!